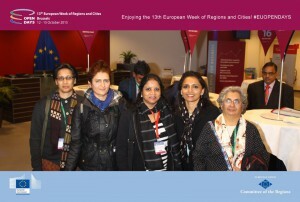 In this section we give an overview summary of cooperation between the involved cities and regions from the European Union, India and China. Success of the World Cities project has to be measured regarding the impact that has been achieved. 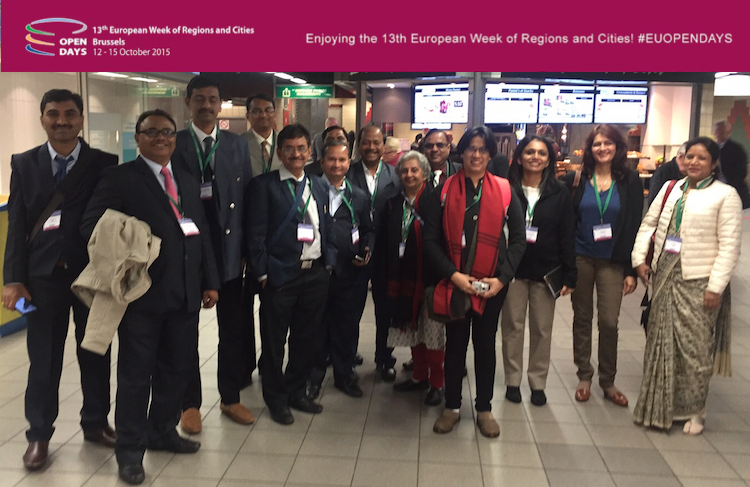 This impact has been channeled through pilot projects identified by the cooperating cities and regions in India, China and the EU with strong support of the World Cities team. Currently there are 24 Pilot projects between European and Chinese cities in a wide range of areas including environmental technologies, urban development (smart-city), university & research cooperation, aerospace, health care, agribusiness, food certification, energy efficiency/low carbon development, etc. As of today, 14 MoUs have been signed (additionally to the more than 20 from the CETREGIO cooperation). Many of them are B2B (e.g. 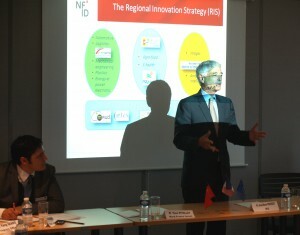 Fira de Barcelona – Tianfu New District for Chengdu Smart City Congress). For further details, please contact Mr Pablo Gándara at pgandara@world-cities.eu. 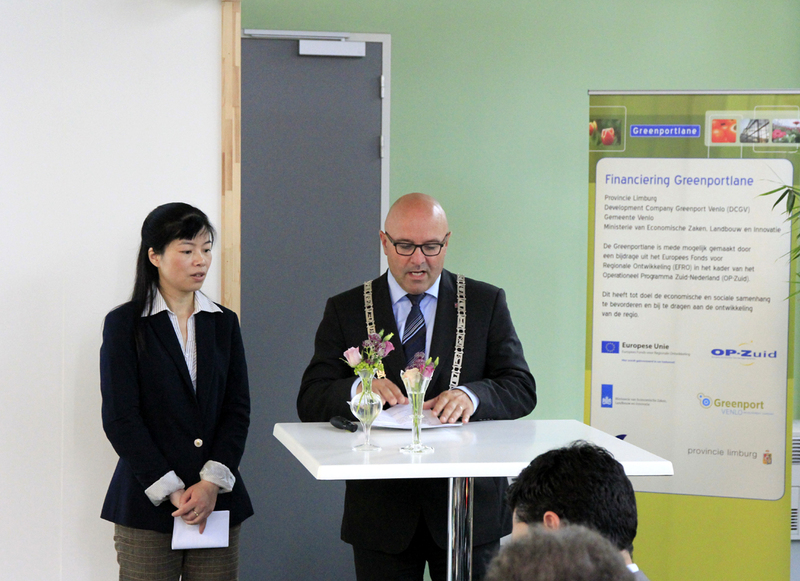 Support to SMEs and Innovation: Cooperation between the Catalonian Regional Agency ACCIO and the DRC Sichuan and DRC Wuhan on green city, smart city and industry 4.0. Cooperation between the Association of Small and Middle Size Companies in Catalonia, the Barcelona Design Center and Wuhan and Shantou. 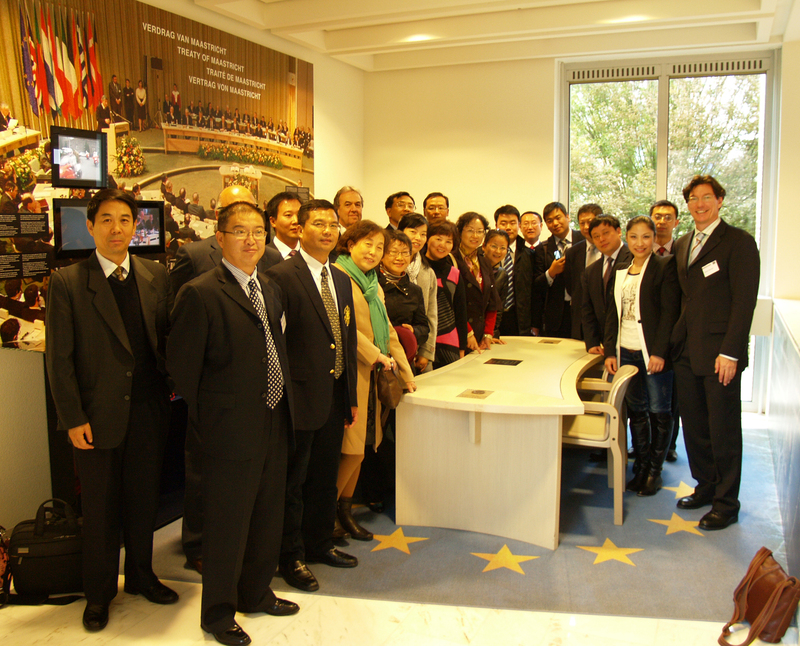 Cooperation between ESCI-UPF School of International Studies, the University of Blanquerna and Wuhan University. Discussions with Sichuan Province Private Association of Travel Service (SAPTS) and with Chengdu Tourism Bureau towards establishing special tourism routes for Chinese travelers to Europe. Forcity (3D modelling services for urban development – www.forcity.com/). The robots company EVOTION (http://www.evotion.com/fr/) started a cooperation with the Chinese company ARTIGENT ROBOTICS from Chengdu during the March mission to China. MoUs were signed on tourism cooperation as well as between the Chambers of Commerce of Lyon and Guangzhou. Elaboration of concrete projects for the new coastal city of Zhugang New Town (Huaqiao Xinjin Section of East Coast New Town – the reclamation area). Areas include design of energy-saving buildings, waste and water treatment and waste treatment and smart transportation system. 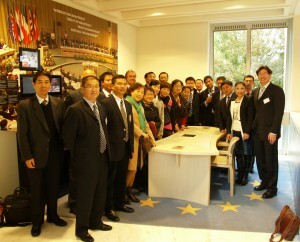 4 Companies from Andalucía visited Shantou. Currently there are 12 Pilot projects between European and Indian cities in areas including waste management, sewage treatment, urban development and smart-city development. Although no MoU has been signed so far, there is an established working relation between the pairing cities and a MoU between Chandigarh and Copenhagen (CLEAN Cluster) is currently under preparation. Business cooperation is especially promising in the cooperation between Copenhagen and Chandigarh. Sewage treatment: Upgradation of Sewage Treatment Plants (STPs)and conception of Effluent Treatment Plants (ETPs): Experts from Copenhagen and Stuttgart presented technical solutions for the upcoming programmes to be launched by the Chandigarh Municipal Commission CMP. Waste Management and Energy Efficiency. 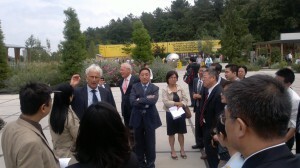 After the visit to Chandigarh, European and Indian experts agreed to further cooperate in the areas of waste management. Here the Regional Government of Lazio offered a bilateral cooperation between the municipal corporation AMA – the biggest Italian operator in environmental services and integrated waste management. and the CMP. Regarding energy efficiency, the Italian Energy Efficiency Agency ENEA offered support regarding smart street lighting. Danfoss offered to Chandigarh district heating and district cooling solutions. Urban Development – non motorized transportation: Development of pedestrian and cycling areas as pilot projects in sector 35 and/or 17. The international urban developer GEHL Architects (DK) had made a business proposal to the Chandigarh administration (CMP and to the UT Administrator). During the site visit all relevant stakeholders were involved and are very interested in rapid implementation. Cooperation with Stuttgart was intended within UNESCO’s heritage programme to Le Corbusier buildings (Stuttgart has also some). Bilateral MoU with Copenhagen: The Advisor and the Secretary have agreed that there should be a document signed between both cities in order to cement the relationship. This would facilitate the rapid financial support to bilateral pilot projects. Urban Development: Cooperation between MMRDA and Stuttgart Urban Development Unit regarding sustainable development brownfield areas and regional information systems. Support to MMRDA’s Environmental Database. The head of Stuttgart Environmental Department, Dr Hans-Wolf Zirkwitz, provided technical support regarding the indicators of such a base to be developed by MMRDA. Stuttgart will also facilitate best practices regarding the role of public awareness measures to communicate to citizens the positive results of green city development. Climate change. Stuttgart is preparing the launch of a bilateral climate partnership with Mumbai covering areas like mitigation and adaptation strategies (climate atlas), energy efficiency (lower consumption) and access to energy. Talks were held between Stuttgart (Mayor, Heads of relevant departments) with the Commissioners of MCGM and MMRDA. Cooperation with Lazio on the Review of NAINA Regional Development Plan. Lazio has been shortlisted to prepare an offer. Tendering process ongoing. Cooperation on smart-city development. Similar to Chandigarh, the Italian Energy Efficiency Agency ENEA offered support regarding smart street lighting. ENEA also identified support measures in the sustainable mobility area including smart transport services (buses on demand). Cooperation also includes the protection of critical infrastructures and building smart districts ICT platforms. Waste Management. Here the Regional Government of Lazio offered a bilateral cooperation between the municipal corporation AMA – the biggest Italian operator in environmental services and integrated waste management. and CIDCO. 4) Pune (cooperation mainly with Andalucía). For detailed information on the projects, please contact pgandara@world-cities.eu.